"By any reasonable standard — not to mention the findings of multiple mental-health experts over the years — Mr. Panetti is mentally incompetent...A civilized society should not be in the business of executing anybody. But it certainly cannot pretend to be adhering to any morally acceptable standard of culpability if it kills someone like Scott Panetti." "In a 1986 decision, the Supreme Court said that executing the insane served no purpose and would be 'savage and inhumane.' Today, no words could better describe the state’s plans to strap Panetti to a gurney and end his tortured life." "[W]e believe that executing a person as severely and persistently ill as Scott Panetti would only compound the original tragedy, represent a profound injustice, and serve no useful retributive or preventive purpose." "The European Union strongly believes that the execution of persons suffering from a mental disorder is contrary to widely accepted human rights norms and is in contradiction to the minimum standards of human rights set forth in several international human rights instruments, as well as being prohibited by the US Constitution." 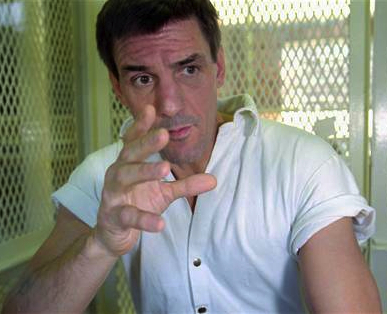 (Editorial, "Will Texas Kill an Insane Man?," New York Times, November 23, 2014; Editorial, "Texas’ plans to execute mentally ill Scott Panetti aren’t fitting for a civilized society," Dallas Morning News, November 23, 2014; European Union, Letter in support of clemency for Scott Panetti, November 14, 2014; National Alliance on Mental Illness, Letter in support of clemency for Scott Panetti, November 17, 2014.) See Texas Defender Service's resources on Panetti. See Mental Illness and New Voices. Watch a video (see sidebar) about Panetti's life and family.